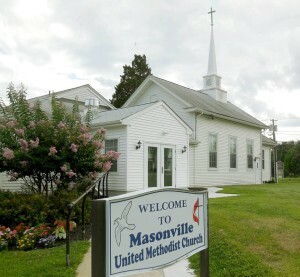 Masonville-Rancocas United Methodist Church has several upcoming events the community may wish to learn more about. First, Masonville-Rancocas United Methodist Church will be sponsoring a “Christian Music Skate” event at ISC Sports Center, Ark Road in Mt Laurel. This is a family fun event with skating to uplifting contemporary Christian music on Thursday, March 3 from 6–8 p.m. This free live simulcast event that begins about 6:15 p.m. will also feature music from Chris Tomlin, Lecrae, Switchfoot, and Mercy Me — and a clear gospel message from Greg Laurie. Masonville-Rancocas UMC is located at 200 Masonville Road in Mount Laurel (across from the Fire Department). For questions about either event, please contact the church office at (856) 234–0941 or mumc07@live.com.